Head's World! : Episode 25: The Sword of the Atom pt 1! Episode 25: The Sword of the Atom pt 1! Welcome back to Head Speaks and to our 25th Episode : The Sword of the Atom pt 1! This month on "What's In Head's Longbox? ", we're going to star taking a look at one of my two favorite heroes... The Atom! 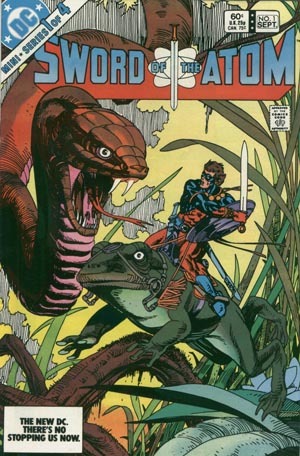 This month, we're going to review The Sword of the Atom, issue 1. Then continuing next month, we'll look at the other issues. Next we'll move on to the three specials and then finish up with The Power of the Atom! (which leads into my Task Force X Headcast, down the road). Then on "Where is Head Going? ", I talk briefly about First Strike: The Invasion Podcast!